Home › Uncategorized › Can the appearance of a smartphone be trademarked? Can the appearance of a smartphone be trademarked? We recently reported a circular summing up Israel Patent Office policy regarding 3D trademarks. Whilst radiator caps and the like are clearly registerable, in general, the Israel Patent Office is wary of allowing trademarks for the shape of functional articles or for novel packaging and it is necessary to show that the shape is not merely functional but has acquired distinctiveness. It seems that the circular was a prequel to a recently published ruling wherein the Israel Patent Office refused to allow the shape of an Apple i-phone to be registered as a trademark. The mark in question is IL 236294 as shown above. The mark covers “Handheld mobile digital electronic devices for use as a mobile phone, digital audio and video player, handheld computer, personal digital assistant, electronic organizer, electronic notepad, electronic calendar, electronic book reader, calculator, and camera, for sending and receiving electronic mail and other digital data, and for accessing the Internet; all included in class 9”. The mark was filed in March 2011 and claims priority from a Hong Kong mark filed in September 2010. The Examiner considered the requested mark as an image of the good being sold and not a trademark showing the origin of the good and therefore refused it under Section 8a of the Israel Trademark Ordinance 1972, following the guidelines of Circular MN 61 from 2008. The examiner considered the correct protection for that shown is as a registered design and that in order to register the design as a trademark it is necessary to show that it is neither aesthetic or functional in essence, and has acquired the trademark characteristic of indicating origin through usage. The Applicant responded that the image was of an I-Phone 4 which was exclusively associated with Apple and was well recognized and respected worldwide, and had successfully been registered as a trademark in many countries, including Australia, the US, Ukraine, turkey, Switzerland, Japan, France, the EU, and Hong Kong. The Applicant further requested that the mark be allowed under Section 16 based on the corresponding US registration no. 3,470,983. (Section 16 allows marks having minimal distinctiveness to be registered based on a registration in Applicant’s home country). The examiner pointed out that the issue wasn’t minimal distinctiveness or the lack of it, but rather if the requested mark is the appearance of an article that is aesthetic or functional in essence, and so upheld the refusal. The Applecant Applicant reiterated that the mark had acquired distinctiveness and that it was identified with the applicant and brought an Affidavit from Thomas R. La Perel, Apple’s general legal counsel. In the Affidavit, La Perle stated that “The Application is for the design of Apple’s distinctive iPhone telecommunications device featuring Apple’s unique product configuration and colorful icon display”. La Perle stressed the product’s design and that “Consumers identify the get up with the product and Apple as its source. He noted that Apple had spent vast sums advertising and promoting their product and gave evidence for this. In her ruling, Ms Bracha noted that trademarks may be 2 or 3 dimensional and are suppose to be indications by the manufacturer of the origin of the goods. In this case, the mark was not indicated as being a three dimensional mark and it is correct to assume that it is a two dimensional mark, and the applicant argued that it was a two dimensional mark of the face of the i-phone which is rectangular with curved corners, with icons in rows of four, as a feature that can be changed. In Appeal 11487/03 August Storck KG vs. Alfa Intuit food Products LTD (Toffiffee) the Supreme Court ruled that the appearance of a good (whether 2d or 3d) may serve as a trademark but only if it is very different from that typical of the type of product, such that the consumer comprehends it as an indication of origin. This is eseentuially what the ECJ ruled in C456/01, 457/01 Henkel KGaH v. OHIM (2005) 34-39 http://curia.europa.eu/en/content/juris/index.htm which referred to August Storck KG vs. OHIM sections 25-29 to the effect that the law applies to two dimensional images of the three dimensional product. Thus whether or not the mark is two or three dimensional, if it is a representation of the product or its wrapping, the issue is whether it is functional or aesthetic in essence, or serves as an indication of origin. Applicant argued that the image is of the front surface and is flat, so three dimensionality and product appearance is not an issue. The deputy commissioner disagrees. Here the Deputy Commissioner related to recently issued circular 032/2015 that replaces MN 61 and provides a certain leniency to representations of flagship products. In this instance, the registration in the US is for the shape of the phone with specific icons in a specific pattern and the application in Israel is very much broader. Regulation 3 continues to state that marks that have an acquired distinctiveness may be registered provided that they are not one of the alternatives in Regulation 1 which is an absolute bar to registration. “In connection with the fact that the absolute ground for exclusion of Article 3(1)(e) Directive cannot be overcome by acquiring distinctive character through use, it is also relevant to asses whether or not the shape previously gave the product substantive value. The grounds for exclusion may not arise before the shape has acquired a reputation as a distinctive sign. In that case: once affected by the absolute exclusion, this exclusion always applies. In other words, before considering whether or not the mark has acquired distinctiveness, it is necessary to address whether it is in a class of goods that can not be registered under any circumstances without the company name or the like. The Applicant argued that the issue is not whether the design is aesthetic or functional, but if it is exclusively aesthetic or functional. Thus in cases like this where the appearance is functional or aesthetic but not exclusively so, and where the consumer would identify the appearance as a source of indication of the product, the appearance should be registerable. The Supreme Court used the word significant functionality or aesthetic character (ממשי) where as the European court used the word exclusive (בלעדי), to the effect that as far as Israel is concerned, a significant functional / aesthetic characteristic is sufficient to prevent registration, even if the good has acquired distinctiveness. The applicant tried arguing that since the appearance could vary somewhat, the appearance of a smartphone cannot be considered essentially functional / aesthetic and thus not registerable. The Deputy Commissioner accepted that function could be attained differently, but considered the design as aesthetic and thus non-registerable as a trademark, though registerable as a design. She was not prepared to allow registration on the grounds that other smartphones were variations on the theme, considering the design aesthetic. Furthermore, in the US, as far as trade dress of a product and not its packaging is concerned, one requires acquired distinctiveness. The Deputy Commissioner considered arguments by the Applicant as beign the first to launch a product with this appearance as of relevance to the issue of design registerability but irrelevant to trademark registerability per se. In conclusion, Ms Bracha considers that since Toffiffee, the Israel Court has departed from the US and considers that not only does a product shape not have inherent distinctiveness but to be registered, it cannot have a significant inherent functionality or aesthetic character. As to the trade dress issues, Ms Bracha noted that Israel law was not sufficiently clear if this is to be considered passing off, but did not consider that the design could be registered as a trademark due to its functional and aesthetic aspects. Ms Bracha considered the acquired distinctiveness issue moot, but nevertheless argued that in this instance, the i-phone does not have acquired distinctiveness as a trademark. She did not consider Section 16 relevant. Ruling re IL 236294 by Deputy Commissioner Ms Jacqueline Bracha, 19 March 2015. 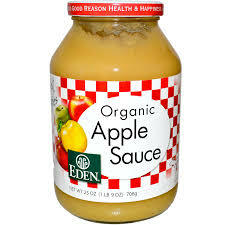 The issue is whether the design is used to indicate Apple as the sauce source. The problem remains that the design is identified with Apple, and is a design and should be treated as such. It cannot fairly be registered as a trademark. In my opinion, after A.Sh.I.R. torts of unjust enrichment and passing up could be brought if there is a case of passing off. Once competitor clearly writes Samsung or similar on the front of the case, I am not sure that they can’t copy the design unless it is registered. This case is reminiscent of Interlego where Lego tried to obtain copyright for their distinctive brick design. Lego is a design and not a copyright. The appearance of the i-phone is a design and not a trademark. The Israel Patent Office does not generally allow marks for functional or aesthetic elements, but only if they are used as an indication of origin, i.e. as a trademark. If the above image is shown on the outside of a box, is a graphic label of what is inside, or is it an image of what is inside? The Israel Patent Office is applying its policy fairly in what is perhaps a difficult case. We understand that Apple may appeal this decision to the courts. That is the correct procedure with regards to patent office policy.